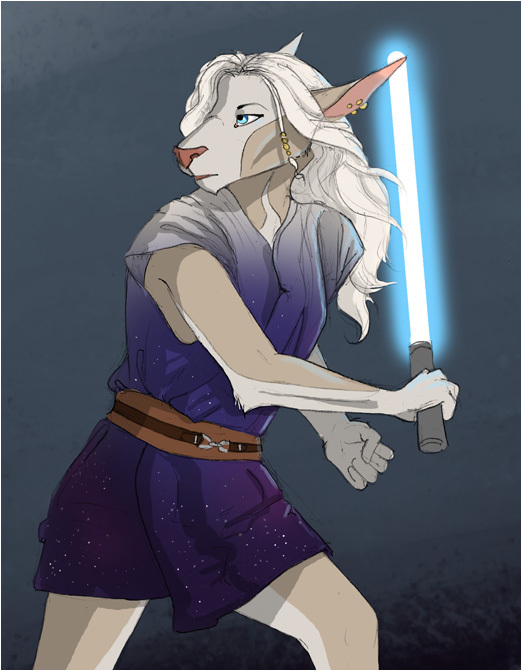 Taking a crack at a little art prompt challenge this month and today's was to swtich around your character's in-game class..... soooo here's Ahuska as a Jedi Guardian! I've realised I miss drawing lightsabers, it's been so darn long! I should bring Tusserk back for some doodles. That is the best hair I've ever seen on a bothan character. End of line. You are KILLING IT!